Isn't this hat just adorable? It's been my favorite addition to my Spring wardrobe. 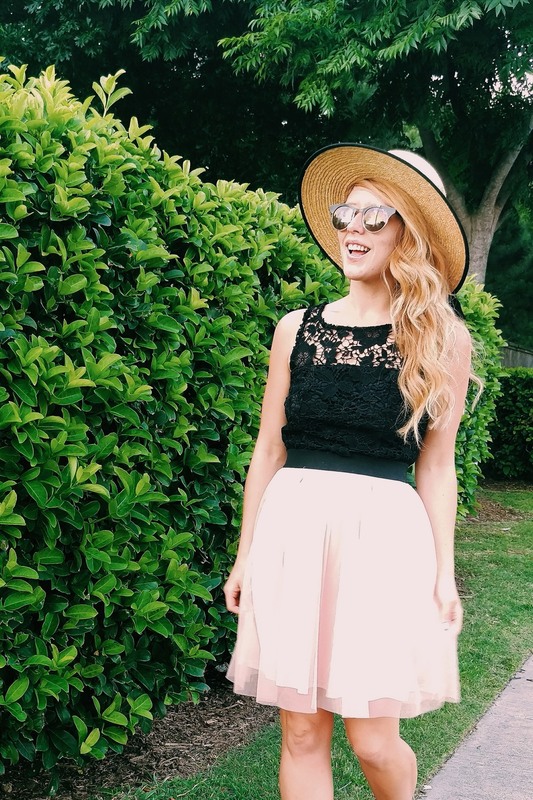 The simple black rim and feminine bow add the best touch to almost any sundress I own. 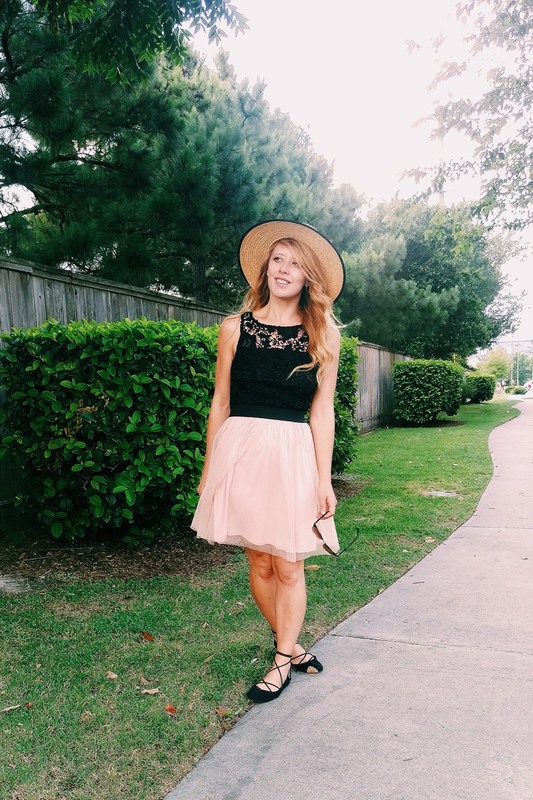 I wore this adorable LC Lauren Conrad (last seen here), dressed down with a pair of simple DIY Lace Up Ballet Flats and my hat. I love taking fancy dresses and giving them a casual feel with a pair of flats. 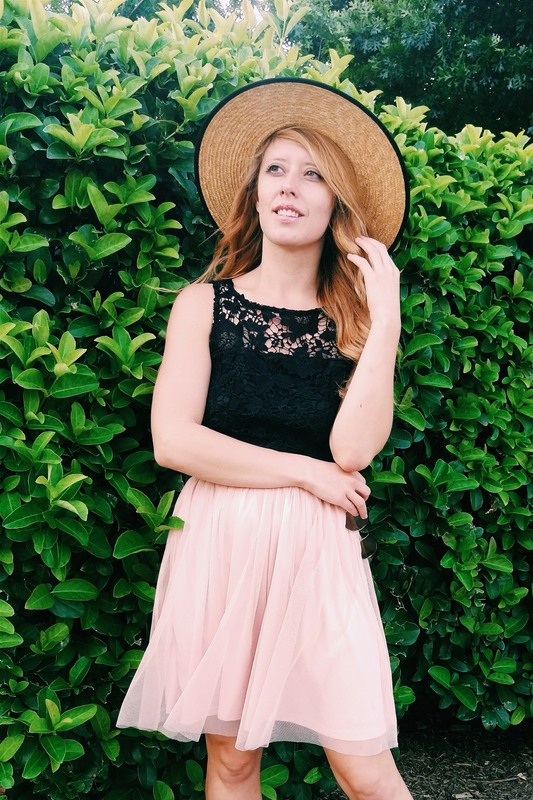 Blush and black are one of my favorite combinations. I think it goes back to my childhood days where everything was ballet inspired. The tulle detailing on this dress is with the combination of the lace bodice, give this such a girly feel. Last time I wore it, I added strappy patent sandals and a black leather jacket. 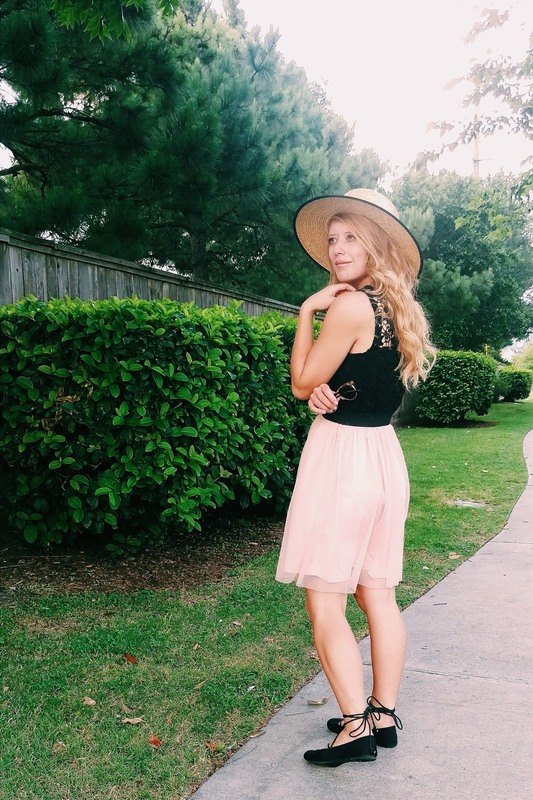 Fast forward to Spring, a comfy walking shoes and a hat to keep the sun off my face - gives the dress a whole new meaning.